- (1998) Located at Sasakipano just east of the town of Moosonee on the north shore of the Moose River which flows into James Bay. 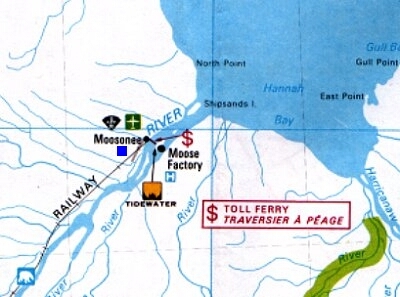 Moosonee is located at the south end of James Bay and can be reached by train from Cochrane in about five to six hours. The base was located about a mile from the community.